Breakstone, White & Gluck is a Boston personal injury and medical malpractice law firm that has successfully represented hundreds of victims of motor vehicle accidents, many involving injured bicyclists. 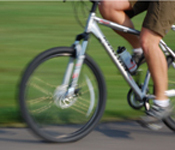 We are committed to promoting safety for bicyclists and support many Massachusetts bicycle clubs. If you are injured in a collision, please contact us at (617) 723-7676 to speak to an experienced Boston personal injury attorney today.